Is Our Housing Market Shifting? 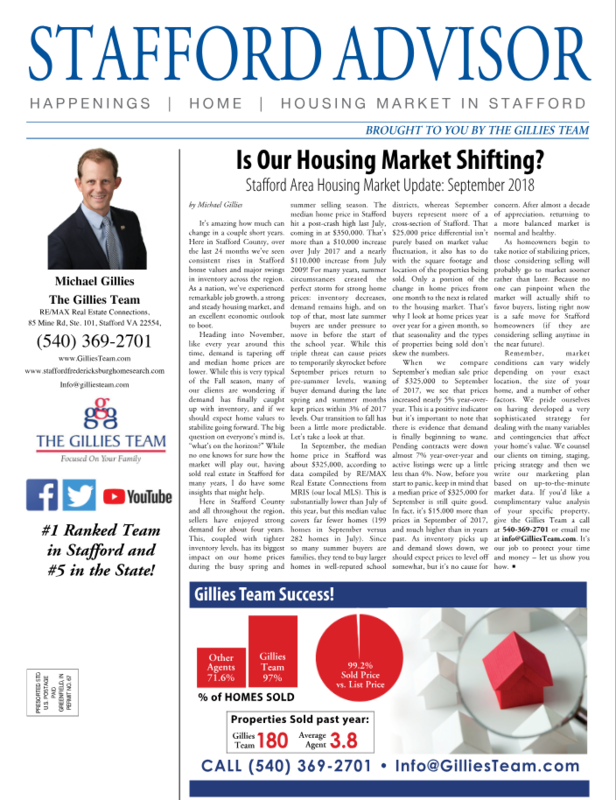 | Stafford/Fredericksburg Real Estate Video Blog with The Gillies Team Stafford/Fredericksburg Real Estate Video Blog with The Gillies Team: Is Our Housing Market Shifting? Real estate, much like the stock market, can change dramatically within just a few years. Over the last 24 months in Stafford County, we’ve seen huge increases in home values as well as major swings in inventory. This has led many people to wonder if our housing market is shifting. I recently wrote an article that goes into detail about the current market and whether I believe that we’re seeing a shift. To read it in its entirety, follow this link. Market conditions can vary widely depending on your exact location. If you have any questions or would like more information on the real estate market, feel free to give me a call or send me an email. I look forward to hearing from you soon.